The Silicon Valley season 5 finale brought everything together. Disparate threads came together so nicely that it’s tempting to retroactively feel more forgiving about the season as a whole. Laurie Bream’s partnership with Yao ended up being generally formidable. The way that Richard Hendricks was able to get Gavin Belson on his side just to spite Yao was great. The Tesla actually came into play and the last minute assist from Colin functioned well in the episode. 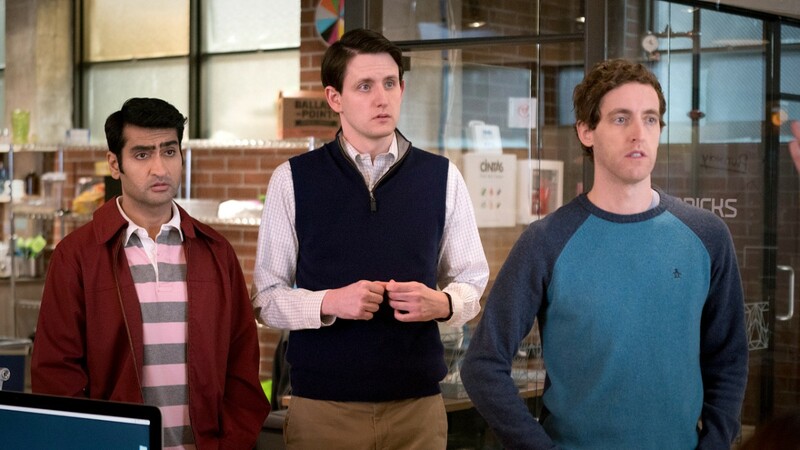 All the choices Silicon Valley season 5 made suddenly made sense realizing they’d clearly planned this ending and then worked backwards trying to set it up. However, while this episode mostly worked in the moment, it doesn’t entirely hold up to scrutiny. In particular, the Colin plotline makes a lot of leaps. It’s not clear why he would need Piper Net’s help launching his game when he already has 80,000 pre-sales. We didn’t even get to witness how Dinesh Chugtai and Jared Dunn convinced him to partner with Piper Net after Richard rudely blew him off. Furthermore, I questioned how Colin added all his pre-sale customers to the network instantly. The episode rushed through a lot of story. It could have easily been fleshed out into two episodes. Plenty of earlier episodes could’ve been cut out to make this possible. For instance, the one about the tech world treating Christians like an oppressed minority. In a pleasant surprise, Dinesh and Monica Hall both contributed to the story in major ways, after a season of underwriting. It’s unfortunate that Dinesh’s plot felt like a Tesla commercial, but at least he got to be a hero in some way. Monica was the one who spotted an inconsistently that uncovered Laurie and Yao’s plan. Her and Gilfoyle working together to stop them worked well. This built up to a moment when Gilfoyle awkwardly told her he liked her. The possibility of a romance between the two is a surprisingly promising option. While this show has historically done a terrible job with romances, this would be a chance to finally show one between two three-dimensional characters where neither is just a love interest. Plus, we’d get to see Monica in a personal plotline outside of her usual role supporting Richard.